I am so glad my sister-in-law told me about this company. They are awesome! very professional and pleasant to deal with. We have a corner lot with a many windows and a HUGE patio door. I didn't think it was possible to install a shutter there but they did it! These shutters look fantastic! We get many compliments from our friends and families at our house-warming party! I would recommend these guys to all of my friends/family. 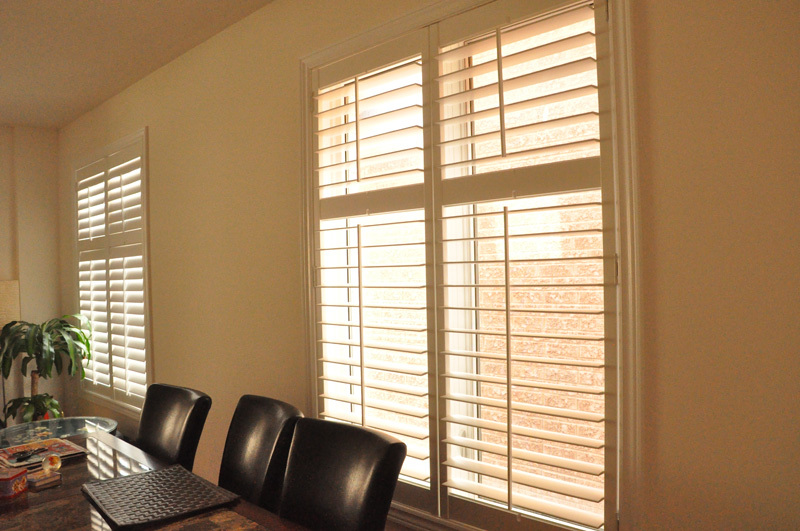 Thanks Premium Custom Shutters!